This content is provided by John M Timperio. John M. Timperio, a partner in Dechert's global finance practice, has more than 20 years' experience advising issuers, commercial and investment banks, financial guarantors and others on securitizations and restructurings. Mr. Timperio's practice focuses on asset-backed securitization (ABS), collateral manager mergers and acquisitions, structured lending, workouts and collateral loan obligation (CLO) transactions. 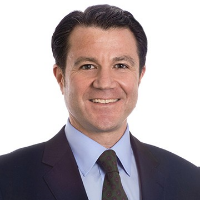 He has been extensively involved in the development of the middle-market CLO sector, having represented the placement agent in the first ever rated middle-market CLO comprised entirely of unrated mezzanine and subordinated loans; and has been a leader in assisting clients with risk retention solutions.